Marsha L. Rozenblit is the Harvey M. Meyerhoff Professor of Modern Jewish History at the University of Maryland. She is the author of The Jews of Vienna, 1867-1914: Assimilation and Identity (1983) and Constructing a National Identity: The Jews of Habsburg Austria during World War I (2001) and co-editor, with Pieter M. Judson, of Constructing Nationalities in East Central Europe (2005). Jonathan Karp is Associate Professor of History and Judaic Studies at Binghamton University. He is the author of The Politics of Jewish Commerce: Economic Thought and Emancipation in Europe, 1638-1838 (2008) and editor of several academic collections, including, with Adam Sutcliffe, Philosemitism in History (2012) and the Cambridge History of Judaism in the Early Modern Period (2017). He was Executive Director of the American Jewish Historical Society from 2010-2013. Chapter 2. 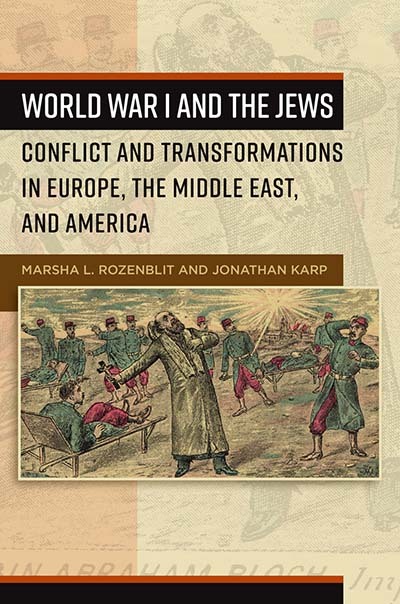 The European Jewish World 1914-1919: What Changed?